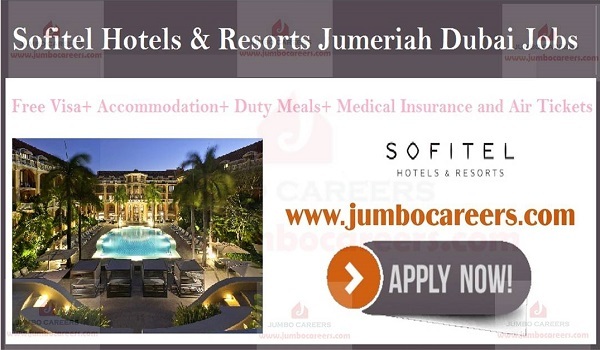 Sofitel Hotels & Resorts Dubai hiring staff for Jumeriah Beach branch. Benefits include free visa+ accommodation+ duty meals+ medical insurance and air tickets. How To Apply For Sofitel Hotels and resorts Careers Dubai?